Pronunciation has been referred to as “the CINDERELLA of language teaching in that it has been neglected, and become disconnected from other language learning activities” (Underhill, 2010). Yet, it is known to exercise an important influence on all four language skills, not only speaking: when we read, we “sub-vocalise” words, or hear them in our mind; when we listen, our awareness of pronunciation will affect what we are able to hear and how the sounds we hear are represented in our mind. When we write, knowledge of sound-spelling relationships comes into play, as we hear the words internally first. (Hancock, 2013; Underhill, 2010). This all-encompassing element of teaching is the focus of the latest post in my “ELT Top 10’s” series. This book recognises that pronunciation is no longer connected only with native speaker speech and sounds. English has become a globalised language, a lingua franca, and in many contexts learners will use it with fellow non-native speakers rather than native speakers. Have you ever wondered about the practical applications of Jennifer Jenkins’ lingua franca core? Do you know about English as a lingua franca but struggle to see how to apply this in the classroom? Then this book is for you. It also comes with an accompanying audio CD of sample speech from 15 ELF speakers, which you can put to various uses, helped by the book. A collection of games for teaching different aspects of pronunciation, this book is a must-have for any staffroom. The games are divided into three sections: 1. Syllables and stress; 2. Sound awareness; 3. Connected speech. Each game comes with complete instructions and photocopiable materials for you to take into class with you. Why not play the games with a colleague before using them with your students, so that you know what to expect? This book is completely different from Sound Foundations, being materials rather than theory-based, but both remind us that pronunciation need not be dry and dull, and provide us with a way to make it stimulating and engaging. 4. The Adrian Underhill online bundle! 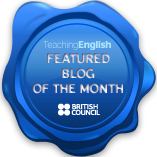 This blog is maintained by Katy Simpson and Laura Patsko – two teachers with an interest in teaching pronunciation to learners who need English as a lingua franca, who won’t be speaking to native speakers in the majority of their interactions. 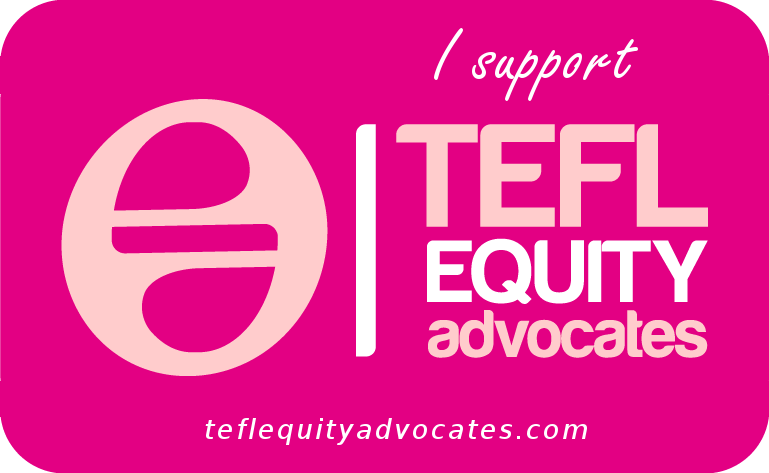 They have come together to create this fantastic resource for other teachers. From non-native speaker models to adaptations of well-known games for learners (so that the games become more ELF-friendly) to information about resources such as BBC Voices, and more, this blog has something for everybody. It’s full of practical, helpful information and materials for taking ELF pronunciation into your classroom, and it’s free! Can’t say fairer than that. This is Robin Walker’s site. On it you can find a mixture of great resources e.g. articles, links to books that may be of interest, materials, blog posts – so it is not just the services offered, although these may be of interest to you too e.g. coaching for presentation-giving and INSET training workshops. Well worth having a look! This website is maintained by Mark Hancock and Annie McDonald, successful speakers and materials writers, and is a pronunciation treasure trove of quality content. You can find talks, materials, activities, blog posts, articles and more, all related to pronunciation and related issues. And, it’s free! So what are you waiting for? Get discovering and experimenting! The Teaching English British Council website has a collection of articles relating to pronunciation that would be worth reading if you want to extend your knowledge and understanding in this area. All freely available! If you are interested in English as a Global language, due to the effect this has on pronunciation teaching and, indeed, all other areas of teaching, then don’t forget to have a look also in the research publications section, where you can find The future of English as well as other publications, all freely available to download. Another interactive phonemic chart, this time by The British Council and freely available to use online, in addition to being downloadable as an app. If you are interested in pronunciation, you might like to think about joining IATEFL’s Pron. SIG. This would connect you with like-minded individuals and entitle you to receive Pron SIG newsletters too. Like other IATEFL SIGs, you can expect webinars and pre-conference events around your area of interest. Again, this is a great way to connect with others who have a keen interest in all things pronunciation-related and keep up with any new developments in this area of teaching. And finally, let’s not forget the venerable online dictionary. These days, online learner dictionaries, such as those pictured above, are very complex affairs, dealing with the wide range of crucial elements that are involved in “knowing” a word. One very useful element within these dictionaries is the combination of the phonemic spelling provided with each word, with the sound file. So you can see the phonemic script and listen to a recording of the pronunciation. Both of these are usually given in both British English and American English versions. Hancock, M. and McDonald, A. 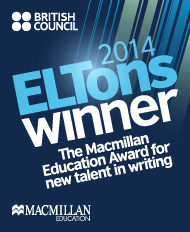 (2013) Adrian Underhill on pronunciation as the Cinderella of ELT published on their blog.